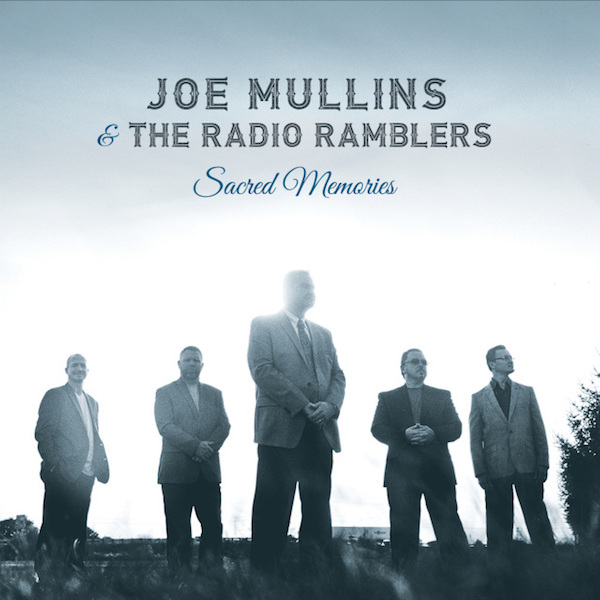 Rebel Records has announced the release of Sacred Memories (REB-1863), the second all-gospel album from Joe Mullins & The Radio Ramblers. The group’s first Christian-themed project since 2011’s Hymns From The Hills, this dynamic recording features a wonderful selection of hand-picked songs brought to life with some very special guests. Throughout the past decade, Joe Mullins & The Radio Ramblers have delivered music with a message. Whether singing gospel or secular songs, or simply through lyrics which make audiences consider the better things in life and beyond, the band and their recordings have touched hearts. The newest album by Joe Mullins & The Radio Ramblers will thrill faithful followers and excite new listeners. Sacred Memories offers great vocal variety and a wonderful set of new songs, as Mullins is a master at finding new material and putting his creative flair on old favourites. This collection features new music from some of the top writers of Bluegrass and Gospel music: Jerry Salley, Paul Williams, Billy Smith and even a never-before-recorded song from the late Randall Hylton. Great gospel music requires good lead and harmony vocals, which can lift up a whole room full of people when they are blended and powerful. What is impressive about the Radio Ramblers is that four of the musicians bring solid vocal chops to the table. Whether it’s a duet, an a cappella number or a song featuring three-part harmony, the Radio Ramblers vocal prowess shines through. Every vocal combination from our group is in the spotlight, which is very exciting for us – Joe Mullins. Mullins and the band are joined by special guests whom are beloved and popular in both the bluegrass and gospel fields and are dear friends of the band. Ricky Skaggs and his wife Sharon White Skaggs are featured on the title song, with Skaggs, White Skaggs and Mullins each taking lead on a different verse. 2015 IBMA Female Vocalist of the Year Rhonda Vincent joins Mullins to sing the duet “I Hope We Walk the Last Mile Together” and on the final song of the disc, The Isaacs lend their ethereal voices to the popular hymn “Will the Circle Be Unbroken.” The rest of the cuts on Sacred Memories feature the well-honed and cohesive Radio Ramblers by themselves. Mullins on banjo and long-time band members Mike Terry on mandolin, Duane Sparks on guitar and Randy Barnes on bass, handle the vocal work, and the newest Radio Rambler, Jason Barie, is featured on fiddle. Sacred Memories is available via iTunes, Amazon and wherever fine music is sold.